When Brighton & Hove Albion drew Arsenal in an FA Cup third round tie in January 1935, the mighty Gunners were on their way to completing a third successive season as league champions. George Allison’s side broke with convention as the two teams trained together in Sussex in the week leading to the game. A crowd of 22,343 at the Goldstone saw a 2-0 victory to the visitors. Unforgettably, when the 1979/80 fixture lists were published, Arsenal were announced as newly-promoted Brighton’s first-ever opponents in Division One. Just like today, Arsenal were FA Cup holders after a superb comeback at Wembley. The game ended in a 4-0 defeat. A match report of Brighton’s baptism of fire made an edition of Football Handbook. Later that season, Alan Mullery’s side were drawn away to Arsenal in the FA Cup fourth round. With Sammy Nelson, Willie Young, Frank Stapleton and Liam Brady in the starting line-up, the Gunners featured many players who would later join Brighton. A rare Nelson goal helped to undo the Seagulls at Highbury. Indeed, throughout that 1979/80 campaign, Arsenal proved the masters over Brighton. In five matches, the Gunners won four, scoring 13 and conceding none. The trend continued the following season. It took until April 1982 for the Seagulls to record a first-ever victory over Arsenal, with Andy Ritchie and Michael Robinson scoring the goals for Mike Bailey’s team in a 2-1 victory. Having achieved this once, Brighton did it again at the Goldstone in September that year, with Gerry Ryan’s goal proving enough. 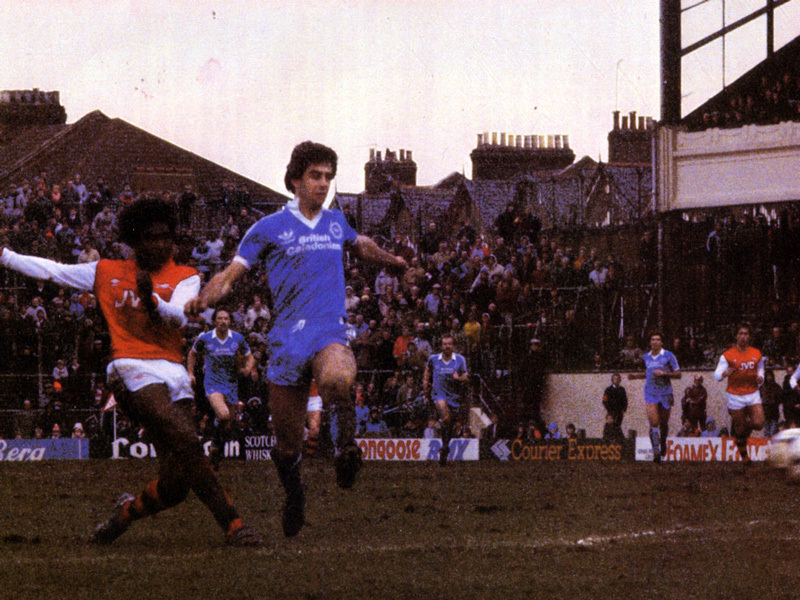 In the return fixture, future Albion striker Raphael Meade got the better of Gary Stevens to score in Arsenal’s 3-1 defeat of Brighton in February 1983. It was back to the FA Cup in 1987/88. Here’s Grandstand’s preview of the fourth round clash between the Seagulls and the Gunners. Despite Garry Nelson’s wonderful volley, George Graham’s Arsenal side emerged victorious in a memorable cup tie.